Compulsive hoarding is obsessively collecting items of little or no value and not being able to throw them away – even if they are worthless, hazardous, or unsanitary. Now formally recognised as a mental health issue, compulsive hoarding is not only a psychological state frequently linked to depression and anxiety, it can also create a dangerous environment to live in, interfering with basic activities including cooking, cleaning, personal hygiene and sleeping. A compulsive hoarder not only effects their own environment but also their family’s. Some hoarders won’t let anyone into their home because they are embarrassed or afraid that well-meaning people may persuade them to throw things away. 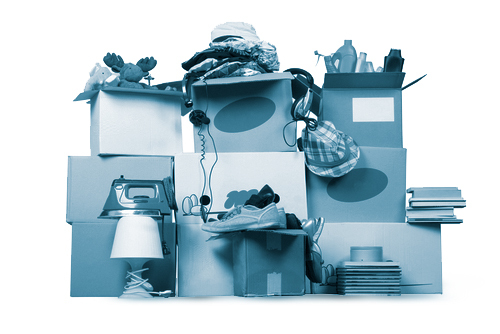 EasyClear works with the family and hoarder’s guidelines of what can be disposed of and what must be kept. This sympathetic and sensitive approach is key to helping with the process of sorting the problem out. Using a professional clearance company who is co-operative and experienced makes the process efficient as well as helping to reduce the stress that a hoarder might experience which in turn can also help in their recovery.